The next weekend following the golf tournament, coincidentally, See's Candies flew us down to San Francisco for a banquet luncheon honoring See's employees; a little perk for every 5 years with the company. Because we were in the hotel chosen by See's we were clear out at the Marriott at the airport. We took the airport shuttle everyday to the BART, made it into the city, then padfooted around hitting every major tourist attraction. In 2007 we played in San Francisco both in March and in December, traveling through on our way to Disneyland! Last February we headed down for the Game Developer's Conference when Gabriel scored a 3 day pass from the Art Institute. I discovered on this trip that even though Portland and San Francisco house the same stores, San Fran gets a lot better merchandise... so, Gabriel networked and schmoozed and I shopped! We just returned from this years 2009 GDC. 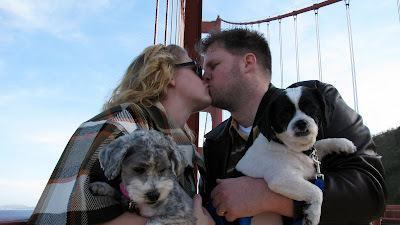 Now, we've done the Golden Gate Bridge, Alcatraz, Fisherman's Wharf, Coit Tower, Lombard Street, Ghirardelli Square, Cable Cars, Union Square, BART, the Financial District, Pier 39, China Town, etc. This being our 6th trip to San Francisco in as many years, we felt it was time to shed our site seeing coats and found it a pleasant change to approach the city as urbanites, as opposed to wide eyed tourists. However! One day, whilst shopping and searching for a particular store my sister called me and during our chat I became totally lost - only to find myself directly in front of Citizen Cake! I originally heard of Citizen Cake when I was trying to find the perfect name for my own blog and someday store front bakery, needless to say I found the name absolutely inspiring... A bakery inspired by a book = magnificence! Eating the food, not so much... I was so disappointed! Unfortunately, it was a miss on all 4 of the treats I sampled. 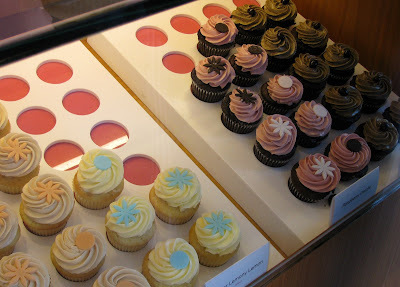 The problem rests 1) in the fact that one of the employees called a cupcake "our version of a hostess", 2) once something gets too big, quality suffers and 3) it felt a bit like trying to hard with too many combinations. But, it was very exciting nonetheless! These photos are of all the things a "foodie" missing her kitchen notices in the big city. The whole trip I kept telling Gabriel, "I'm missing something..." "I'm craving something..." "I want something..." It was getting my hands dirty! In honor, I'm giving away a 1 pound Pecan Log!!! A deliciously tempting candy fondant center wrapped in caramel and then wrapped in pecans toasted in a secret savory concoction! One lucky person, who leaves a comment correctly identifying, in any of the 6 photos above, (citizen cake photo n/a) what is pictured and it's location in the San Francisco Valley. There are lots of hints within this post!! You are soo cute! it looks like SUCH a fun trip! as much as you KNOW I WOULD SALAVATE OVER YOUR PECAN LOG! i have NO FLIPPING CLUE!!! 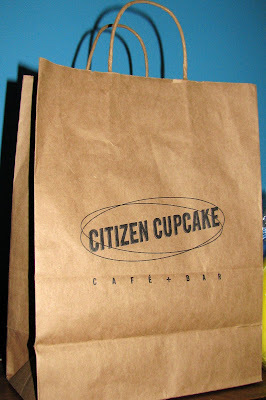 i would say that those cupcakes that you posted WOULD be from citizen cupcake!? downtown SF on Grove Street. but, i don't know for sure! i just figured since you said you thought they were good looking but didn't taste soo great! anyways. that is my entry! i am soo clueless i don't quite understand the friend thing! 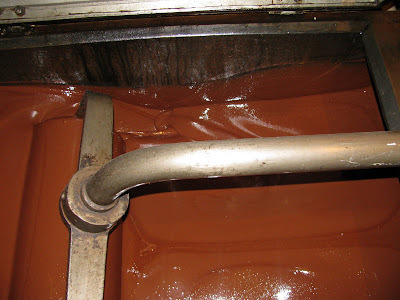 anyways, so, I didn't know that thing was CHOCOLATE!!! oh my gosh! that is crazy awesome! anyways, love you darling girl!!! this is a cute idea! and I LOVE the story! how great! so many fun times in san fran! ALSO, the crab picture...is on pier 39 in san fran! so, i dont' know if ANY Of that works out!? but, i am entered i guess. Love you girl!!! i love reading about your stories. i guess i already said all of that. BUT< seriously. tasting good or not. JUST the LOOKS of those cupcakes... i could POP EVERY SINGLE ONE OF THOSE SUCKERS In less then 5 minutes. I promise! you wanna dare me!?? hahahah just kidding! Of course I recognized the Golden Gate Bridge in the BG. I would guess pics of Fisherman's Warf. Of course you had to make it hard. lol! I'll go for the obvious photo, since I've only been to SF once in my life. 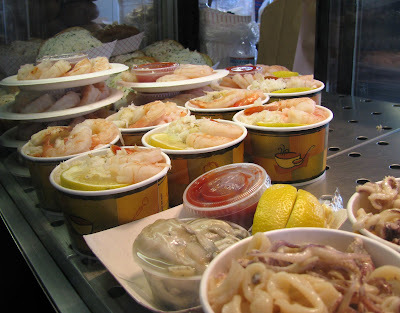 photo #3 pier 39 fisherman's wharf. I'm a pregnant lady and these food photos are just way too tempting. thanks! omg, this brings so many awesome memories from my trip to San Francisco a few years ago. It's such an awesome city!!! 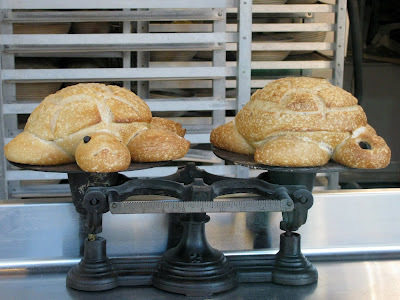 I think the Sourdough Bread Turtles were at the Boudin Sourdough Bakery & Cafe near Fisherman's Wharf. And one picture has the Golden Gate Bridge in it, of course. Maybe the picture of the chocolate is at Ghiradelli Square? And Chinatown for the plates of food, and the Embaracadero Pier 39 for the big buggy thing. let me take a guess: photo number one is grapefruit trees at the winchester mansion. I am blogging about this tomorrow so count me for that!! 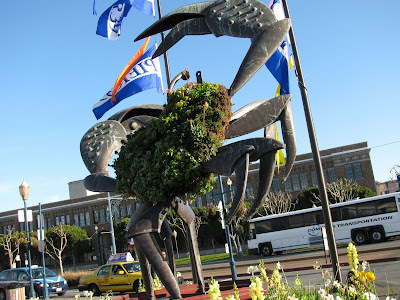 I just got back from Sanfran yestersay and I know that crab is at the beginning of Pier 39! Ok I totally meant to enter like the moment you posted this! Your Pecan Logs are my absolute favorite thing you make. Since I have only been to SF for like 5 hours I will do my best. I will also blog about your giveaway. Does that count for telling other friends? 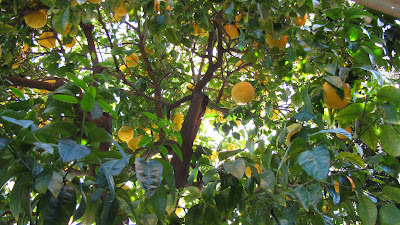 #1 Ok um the first picture is of a citrus tree of some sorts at that crazy ladies house you went to. Hey! I LOVE your Pecan Log, but seen as thought I've been the recipient of it prior, I had excluded myself from this competition. But if I can get my hands on another I will do my best. Here it goes. I also have to add that everyone who I let try this pecan log raved about it. This creation is amazing! This was a tough but fun contest, thanks. #8 the gg bridge! with your cute doggies! this way really awesome catherine! Seriously good call! love ya!